Charlie & Rick get married at the Freemason Hall on Bridge Street in Manchester City centre in December. 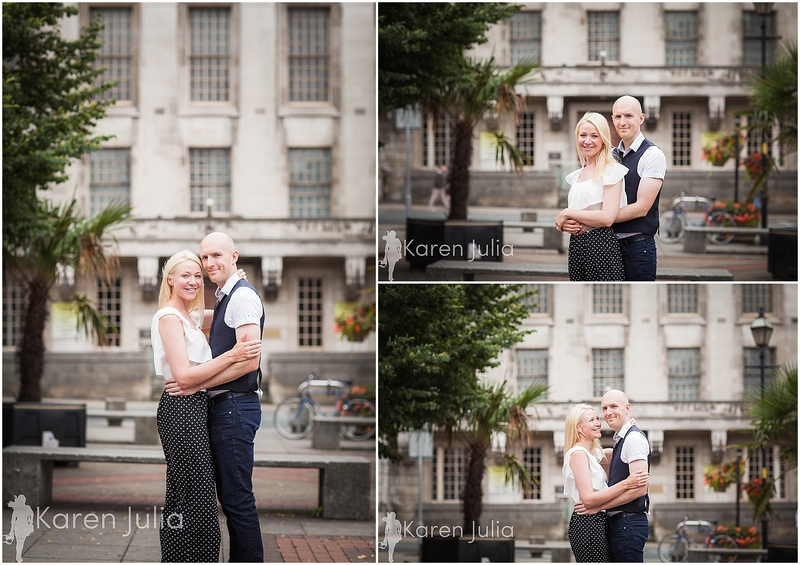 We met in July to scout out locations for group photos and portraits. There’s a small space opposite that I think will be perfect for the large group photo, so fingers crossed for a crisp clear December day and no rain! If it is raining, the Freemasons Hall has a balcony over the main hall, so that will be plan ‘B’. I really love the idea of getting the gorgeous grade II listed building frontage in the background though. The interior is in the neo classical style complete with pillars and sweeping staircases. The facade is in stark contrast to the interior, and in more of the 1930’s style of the time. 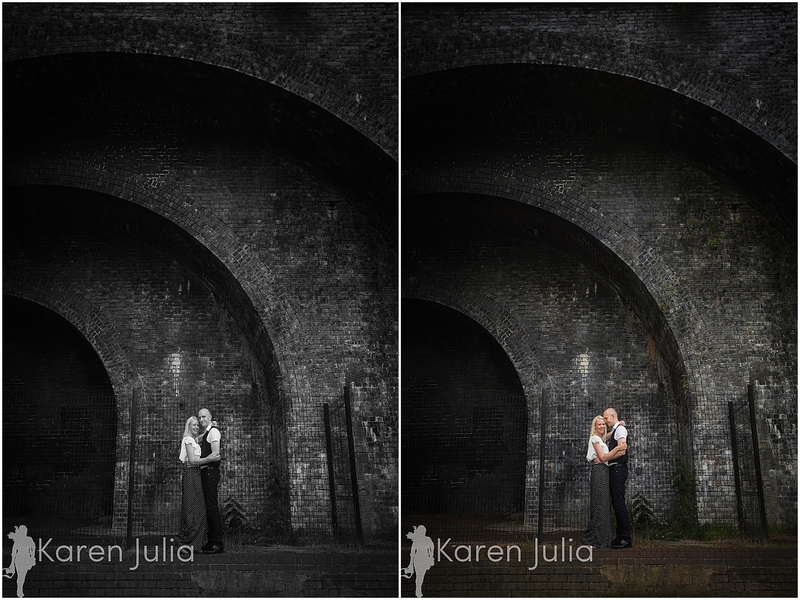 Including both in the wedding photos will show the venue and it’s unique contrast in full. 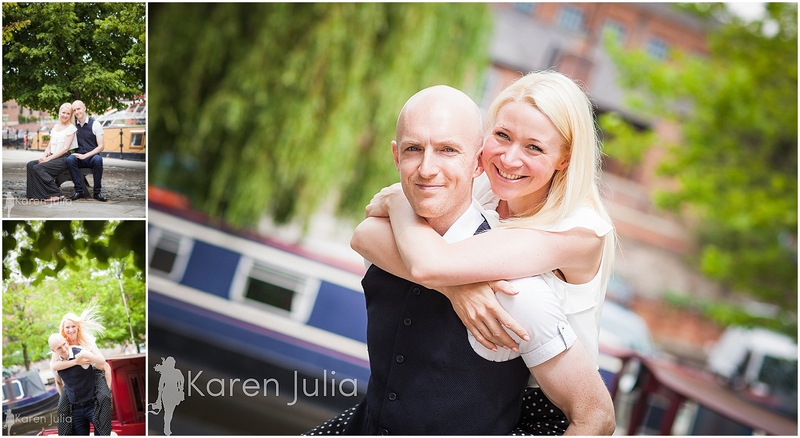 After getting some portraits of Charlie & Rick outside the hall, we made our way towards Castlefield via Spinningfields. 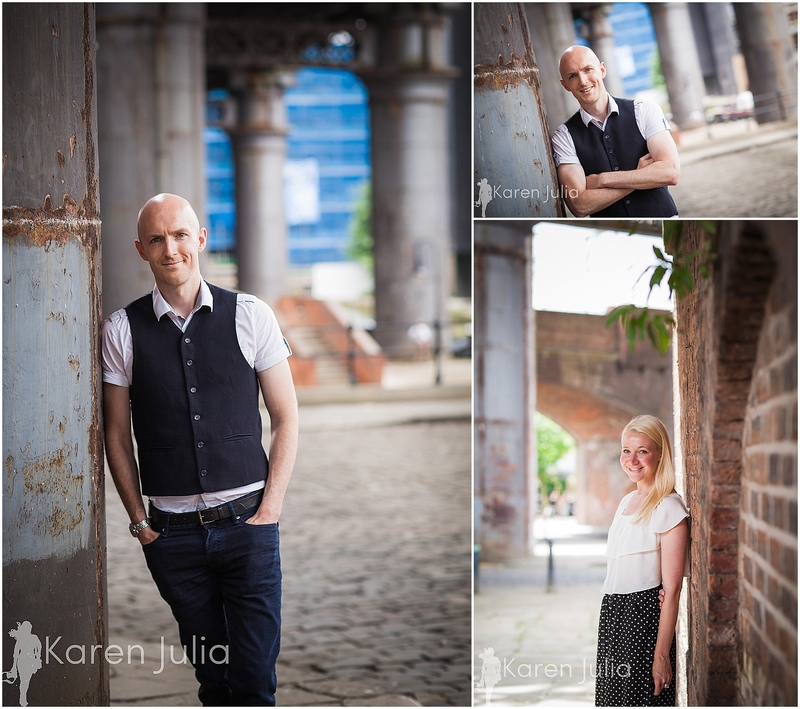 The couple had initially met in Castlefield, so it was important to them to get some couple portraits in that location. 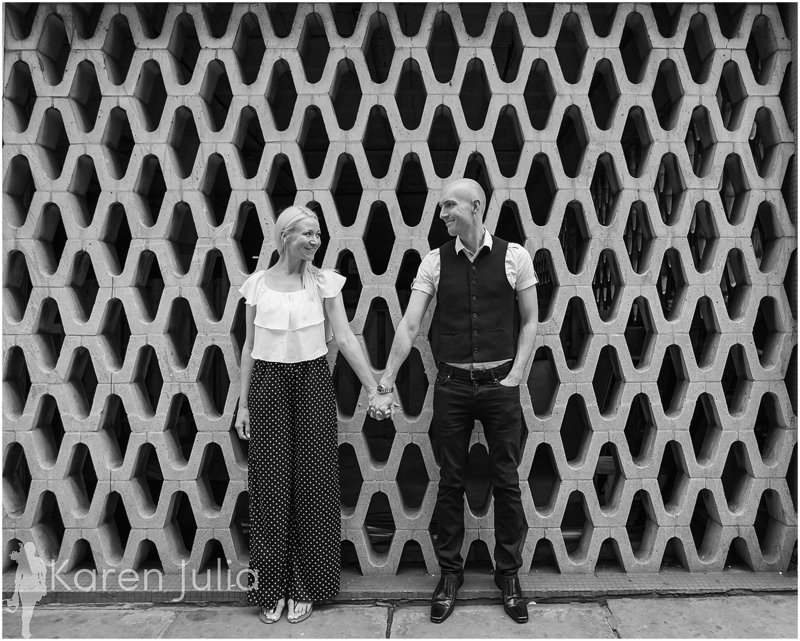 There are so many great spots for photos between those two locations, Manchester City centre is full of interesting architectural backdrops. 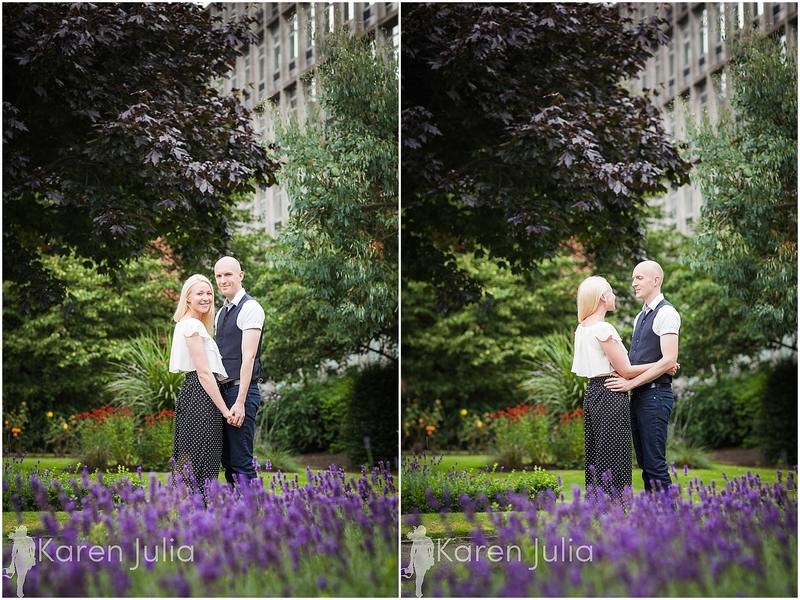 We stopped of in St Johns gardens on the way, where the lavender was in full bloom. 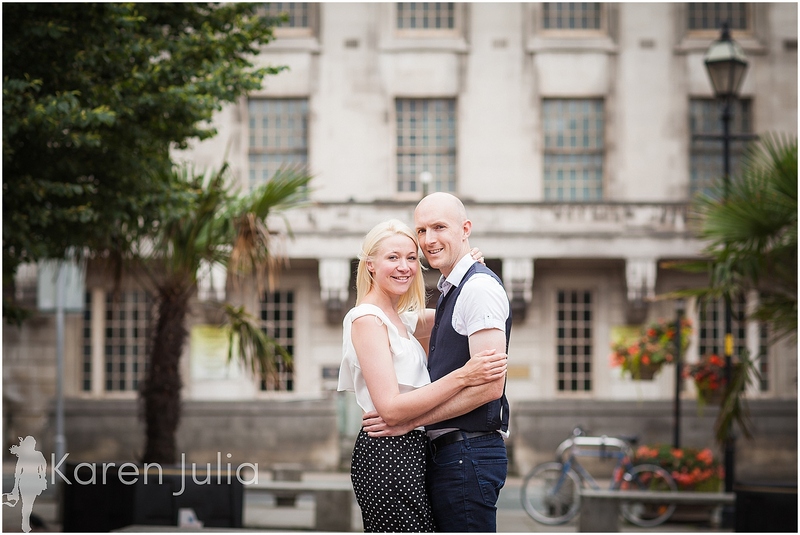 Check out our other couple photo shoots over on the engagement shoots page.